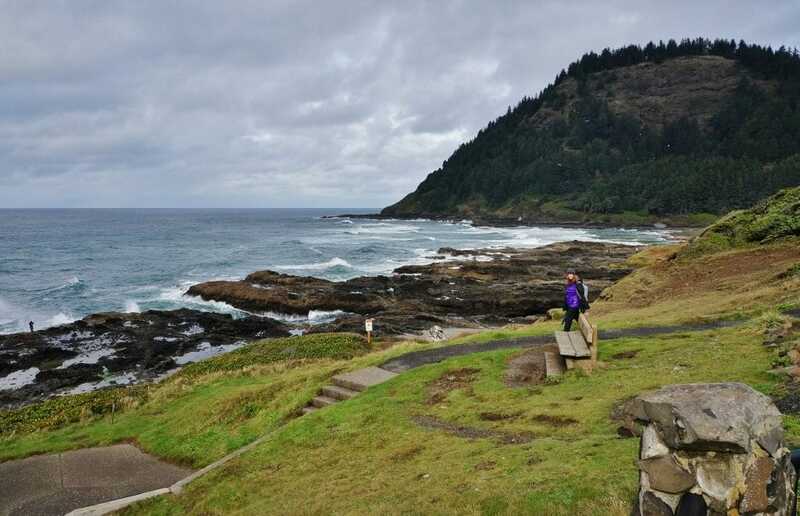 A half hours drive up highway 101 from the town of Florence is a fantastic stretch of rugged Oregon coastline. 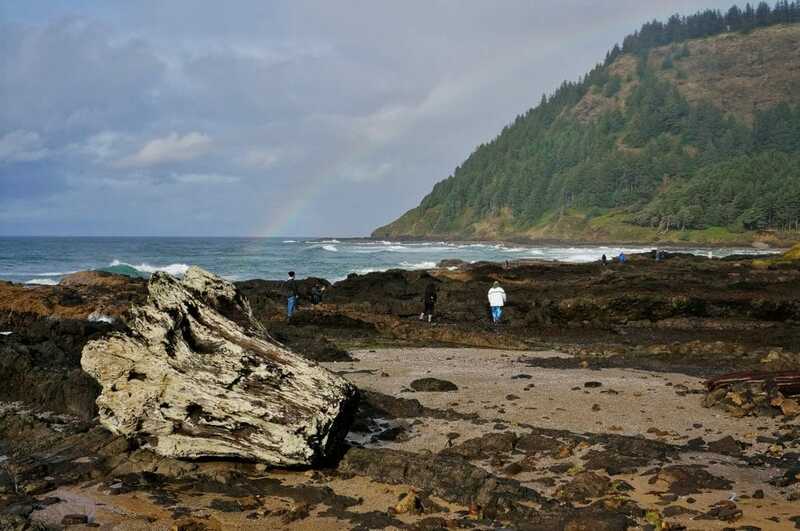 Cape Perpetua Scenic Area is home to several unique waves meeting rock features with names like Thor’s Well, the Spouting Horn and Devils Churn. 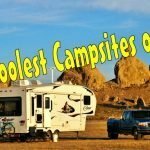 They are a short hike down from the main highway or viewable from the pullouts above. Further inland is a 600-year-old giant Sitka Spruce tree. This year’s snowbird trip south we decided to brave the often stormy late fall weather and linger a bit on the Oregon coast versus blasting through it. I had pegged the area around Florence as somewhere we needed to explore more. 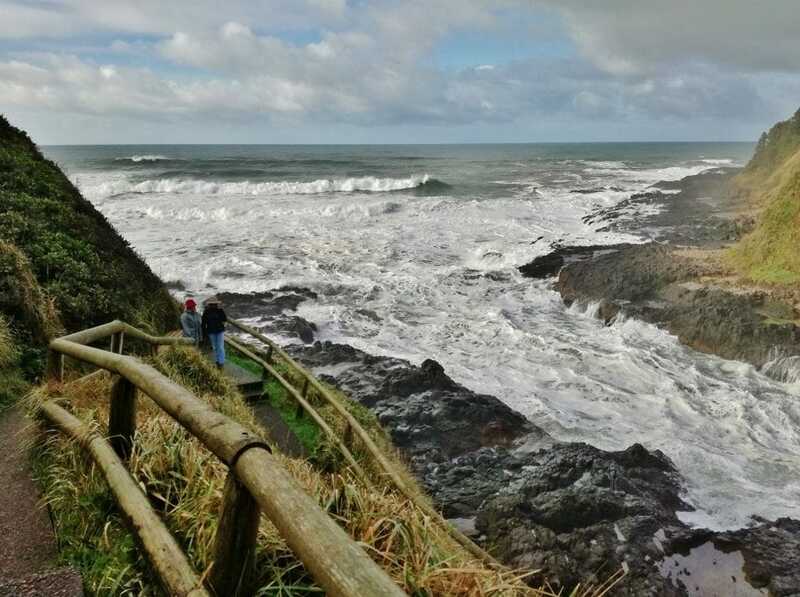 Last fall we pulled over briefly and took a look at Devils Churn, a place where the ocean waves get channeled up an ever-narrowing slot of the rocky coast. I vowed to return and hike the area more thoroughly. Unfortunately, a powerful fall storm washed out most of the days we were there but we did get up to Cape Perpetua for an afternoon. It was Veterans Day, and scads of people were out dressed for the on and off showers enjoying the coast. 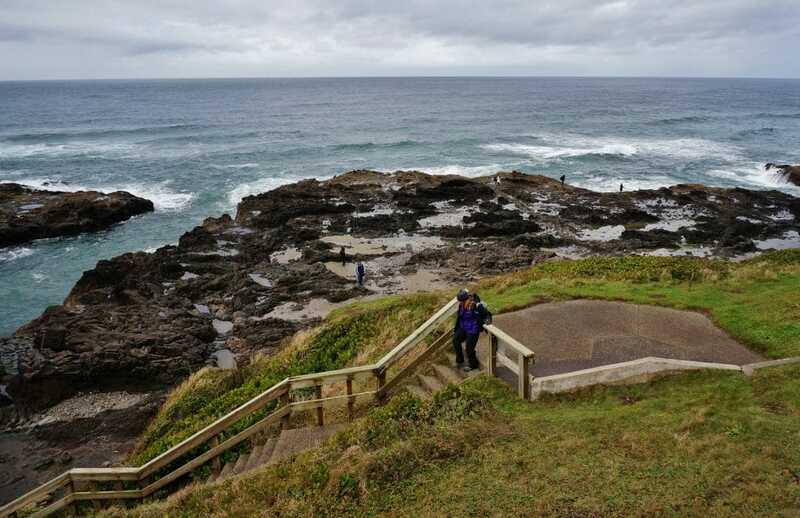 We hiked some of the park trails and checked out the tide pools on the rocky beach below. 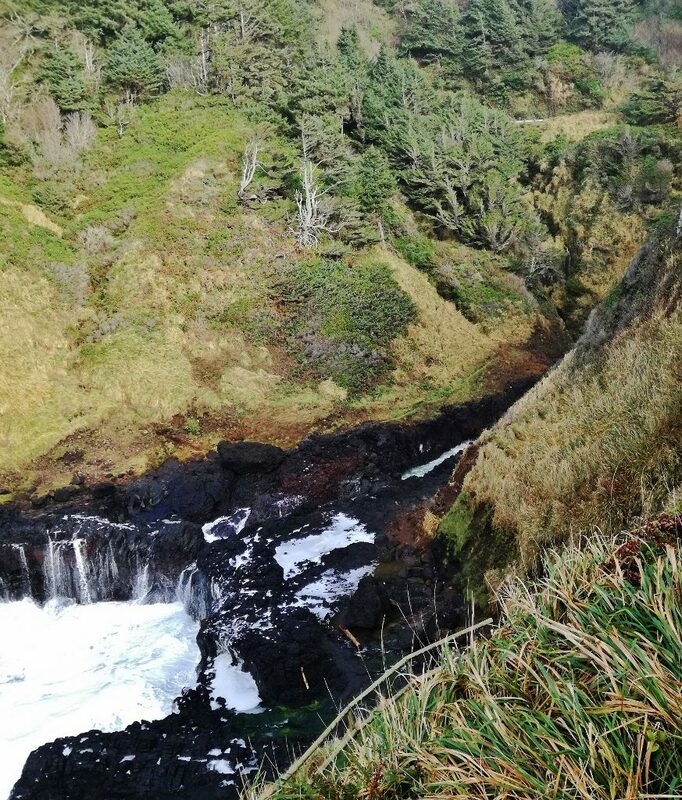 A star attraction is the Thor’s Well. This interesting rock and water formation is a large hole in the rocky shoreline where water is forced through at high tide. When the wave recedes the water drains back in. Locals used to call it the “toilet bowl” however at some point it was given the much cooler sounding name by a visiting photographer. 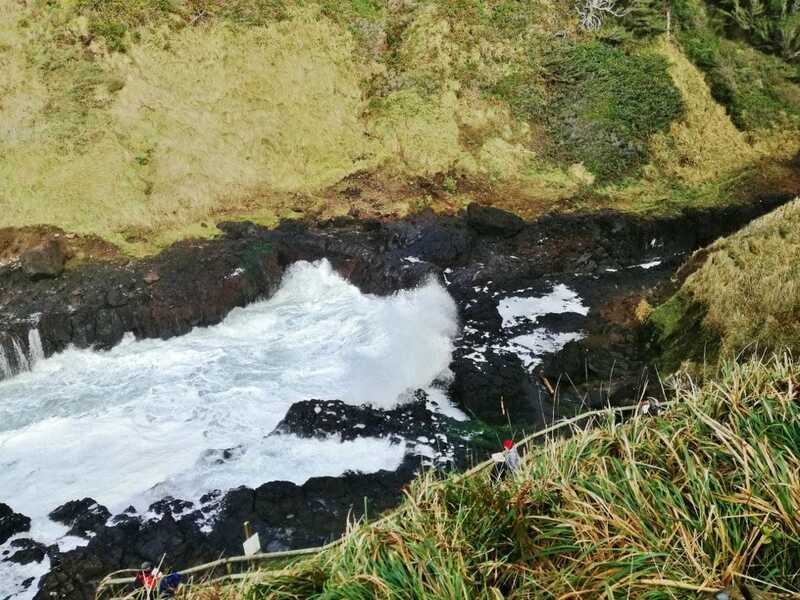 These days Thor’s Well is a big attraction for photographers. While we were there at low tide on a rather wet and dreary afternoon, there were still 10-15 photographers huddled around the hole at high tide snapping away. I was a little afraid for them, a sneaker wave could quickly knock them down or wash them away. It’s been known to happen! 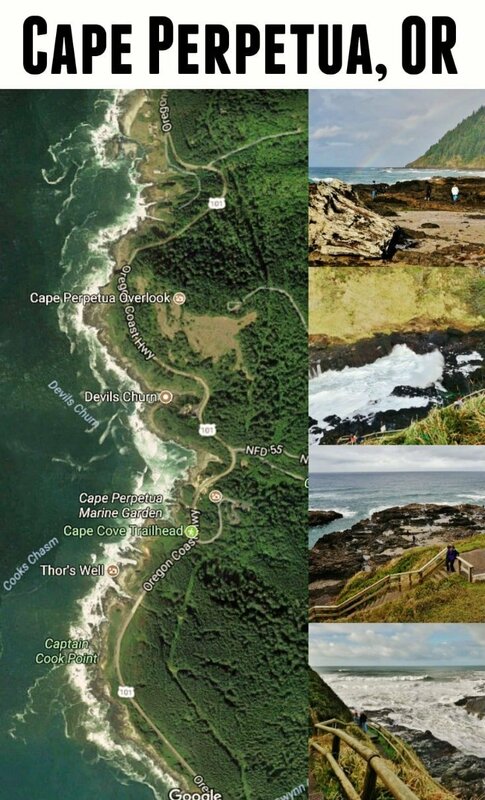 We talked to some fellow RVers who were work campers at Cape Perpetua, manning the Devils Churn visitor kiosk. They told us of 2 that were washed in last year. One was rescued, severely beat up by the rocks and the other found deceased a week later. The body was mostly just bones at the point. 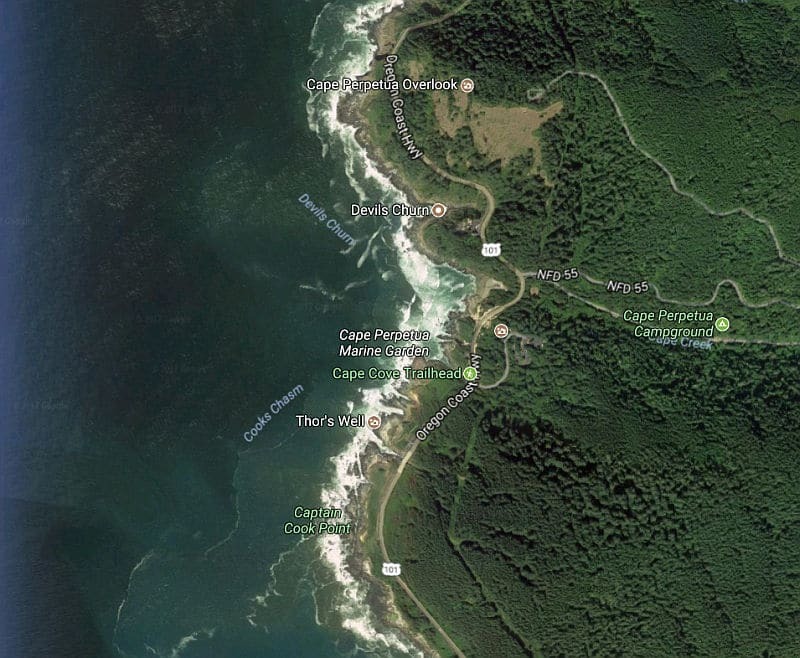 The power and fury of the Pacific Ocean waves demand respect. Anne and I had a fantastic afternoon exploring the coastline and plan to return in the spring on our way back north for more. Hopefully, the weather will be a little better. 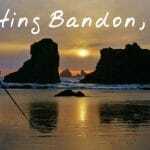 On my todo list are touring the Heceta Head Lighthouse, walking the beach at Seal Rock State Rec Area, and the descending into Sea Lion Cave. BTW, if ever in Florence, OR head down to the old town area and have a bowl of clam chowder at the Firehouse Restaurant, delicious!